Elderflowers are usually in season between May-July. Top tips for picking them include picking them in the morning of a sunny day (before insects have taken the pollen) and not picking any that are too close to a busy road. 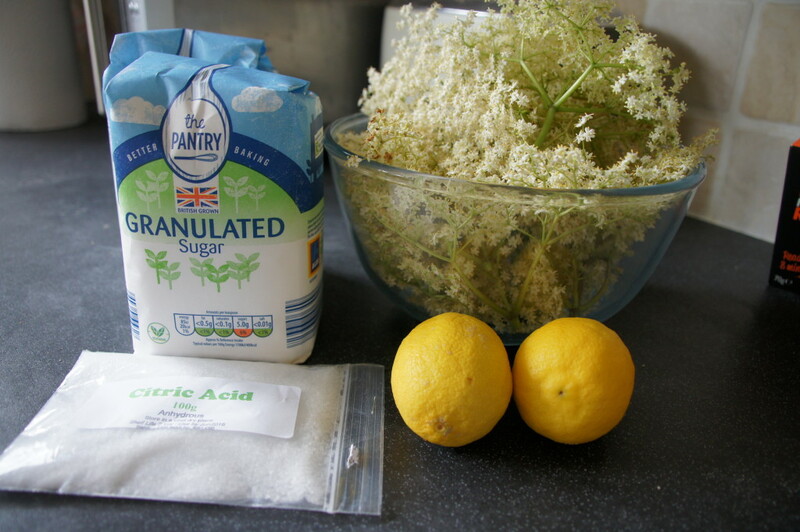 Once picked, elderflowers should be stored in the shade and used on the same day however, you can freeze them – just make sure you use them from frozen rather than defrosting them. This Sainsbury’s magazine article gives you some top tips and some facts about elderflowers you might not know. 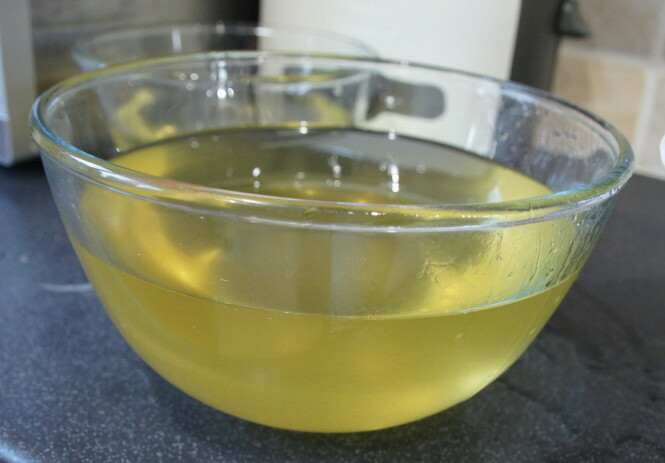 You will need citric acid to make the cordial – this helps to stop the cordial from fermenting. You can get it from chemists but I bought mine from eBay where it is reasonably cheap. After a bit of research I opted for this recipe from the BBC Good Food website. 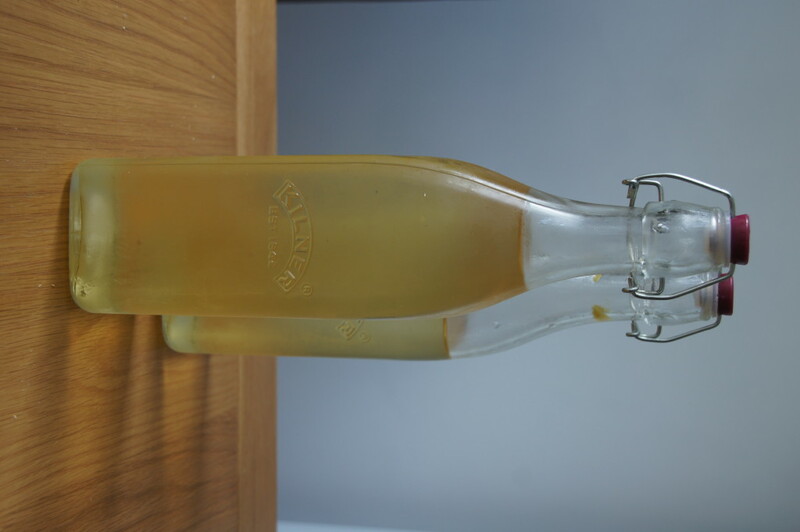 I made 3 litres using this recipe. 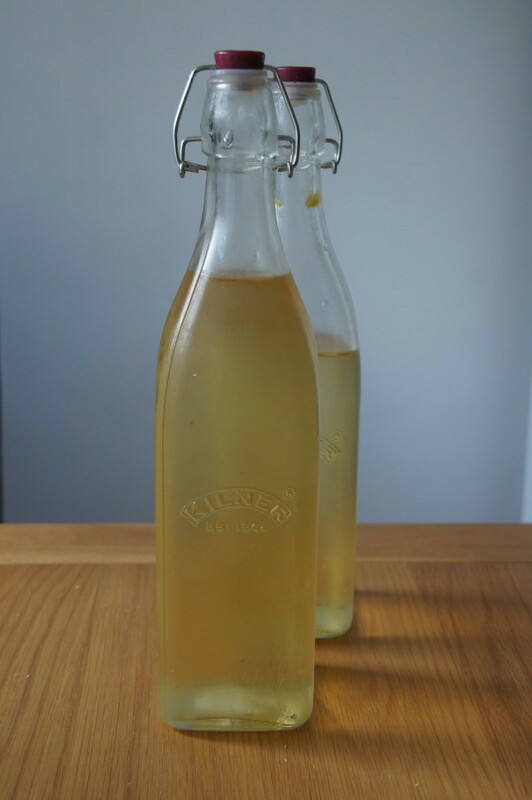 You will need some streilised, glass bottles to store your cordial in. I bought some Kilner bottles from Dunelm Mill. To sterilise them run the glass bottles through the dishwasher (or wash well with soapy water), rinse, then leave to dry in a low oven. 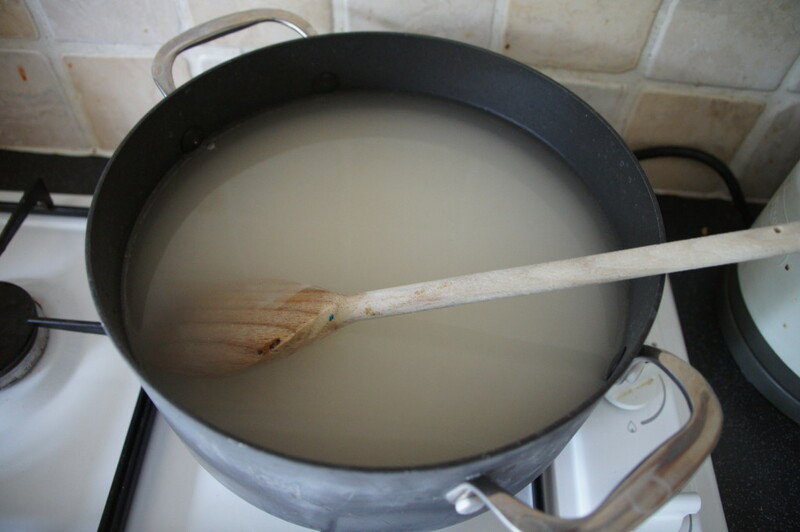 1) Put the sugar and 1.5 litres (2¾ pints) water into the largest saucepan you have. Gently heat, without boiling, until the sugar has dissolved. Give it a stir every now and again. Pare the zest from the lemons using a potato peeler, then slice the lemons into rounds. 2) Once the sugar has dissolved, bring the pan of syrup to the boil, then turn off the heat. Fill a washing up bowl with cold water. Give the flowers a gentle swish around to loosen any dirt or bugs. Lift flowers out, gently shake and transfer to the syrup along with the lemons, zest and citric acid, then stir well. Cover the pan and leave to infuse for 24 hrs.